Ray Beltran’s road back to title contention begins Sunday, Feb. 10. The former lightweight world champion will face the unbeaten Hiroki Okada in a 10-round super lightweight fight as the co-feature to the Jose Ramirez-Jose Zepeda super lightweight championship bout at the Save Mart Center in Fresno, Calif.
Ramirez-Zepeda and Beltran-Okada will headline a special Top Rank on ESPN card beginning at 7 p.m. ET on ESPN and ESPN Deportes. The entire undercard, including the super bantamweight showdown between Genesis Servania and the undefeated Carlos Castro, will stream live beginning at 4 p.m. ET on ESPN+ – the new multi-sport, direct-to-consumer subscription streaming service from The Walt Disney Company’s Direct-to-Consumer & International segment in conjunction with ESPN. “To challenge for the world title, I’ve got to beat Beltran,” Okada said. “As a former world champion, I know he’s highly skilled. I know he’s tough, so I’ll be prepared for a good fight. It’s an honor to be able to fight him, and I’m confident that I will win. I’ve watched his fights on video, and I believe in my power coming into this fight. 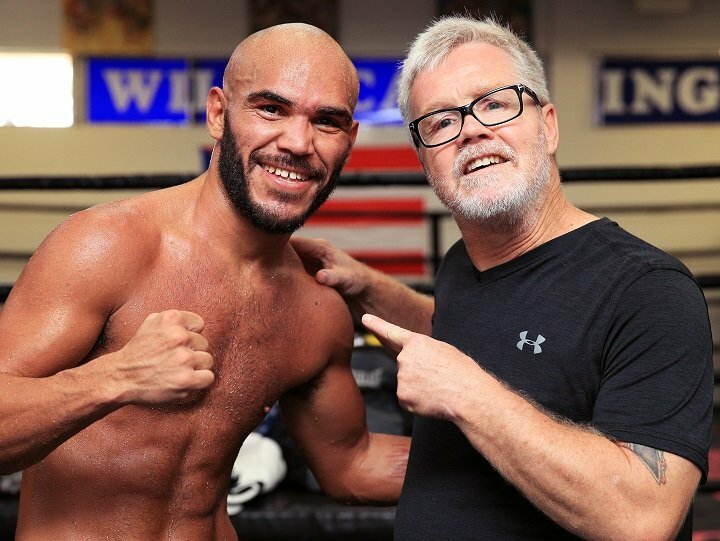 Beltran (35-8-1, 21 KOs) fulfilled a lifelong dream in 2018 when he captured the WBO lightweight world title with a bruising unanimous decision over Paulus Moses in Reno, Nev. A seasoned pro who made his name as a sparring partner to the stars, Beltran began his career 5-2 and didn’t receive his first world title shot until Sept. 7, 2013. On that evening in Glasgow, Scotland, he was saddled with a highly controversial draw versus hometown favorite and WBO lightweight champion Ricky Burns. Beltran lost a wide points decision to pound-for-pound great Terence “Bud” Crawford the following year but rebounded with a six-bout unbeaten streak heading into the Moses bout. Beltran’s world title reign ended on Aug. 25 of last year, as Jose “Sniper” Pedraza put forth a virtuoso boxing clinic to win the title via unanimous decision. After spending most of his career as a lightweight, Beltran will move up five pounds to face Okada (19-0, 13 KOs), a former Japanese super lightweight champion who is ranked in the top 10 at 140 pounds by all four major sanctioning organizations. Okada fought twice in 2018, most recently notching a well-earned split decision verdict against Cristian “El Zorro” Coria on Sept. 14 in Fresno. Headlining the ESPN+ stream will be Servania (32-1, 15 KOs), a 27-year-old Filipino who proved his world-class status during his 2017 featherweight world title challenge against Oscar Valdez. Servania and Valdez traded knockdowns in one of the year’s best fights, with Valdez retaining his title by unanimous decision. Servania has won three in a row since the Valdez war, including a third-round knockout over Carlos Carlson on Sept. 28 in Oakland, Calif. Castro (21-0, 9 KOs), a Phoenix native, is an all-action fighter who cut his teeth with nearly 200 bouts in the amateur ranks. In his last bout, Aug. 25 on the Pedraza-Beltran undercard, he got the better of a toe-to-toe battle against Diuhl “Elegante” Olguin to win a unanimous decision. Gabriel Flores Jr. (11-0, 5 KOs), the 18-year-old phenom from Stockton, Calif., will take on Alex Torres Rynn (6-2, 3 KOs) in a six-round lightweight contest. Unbeaten super featherweight contender Andy “El Tiburon” Vences (21-0-1, 12 KOs) will continue his march toward a world title shot against Dardan Zenunaj (14-5, 11 KOs) in a bout scheduled for eight or 10 rounds. Guido “The Gladiator” Vianello (1-0, 1 KO), the 6-foot-6 heavyweight puncher who represented Italy at the 2016 Rio Olympics, will face Andrew Satterfield (4-1, 2 KOs) in a scheduled six-rounder. Vianello trains with Hall of Famer Abel Sanchez in Big Bear Lake, Calif.
Saul “Neno” Rodriguez (22-0-1, 16 KOs), in his second fight since returning from a nearly two-year layoff, will take on Aelio Mesquita (17-3, 15 KOs) in a lightweight fight scheduled for eight or 10 rounds. Fresno native and featherweight prospect Isidro Ochoa (6-0, 2 KOs) will make his fourth Save Mart Center appearance as a pro against Jesus Guzman (6-2, 4 KOs) in a six-rounder.